Orthodontics is a specialist branch of dentistry, aimed at producing ideal tooth alignment ,improvement in the bite (occlusion) and attractive positioning of the teeth, lips and jaws within the face to produce improved facial appearance and a beautiful smile. If you wish please follow this link Click Here. An orthodontist is a dentist who has undergone further postgraduate specialist training and has met the requirements of the Dental council of Ireland to be registered as an orthodontist . Does the fact that a clinician works in an “orthodontic clinic” or “Orthodontic location” mean that the dentist who works there is necessarily an orthodontist ? No , the only way to be sure that a dentist is an orthodontist is to check the specialist register of the Dental Council of Ireland. Does the fact that a dentist chooses to list their name in the “Orthodontist” section of the Golden Pages (Truvo) , mean that the dentist is necessarily an orthodontist ? Definitely not , this simply means that the dentist pays an additional fee to the Golden pages to list their name in the “orthodontist” section. The Golden pages do not check to see if the dentist is an orthodontist. Dr Buckley recommends that children should be seen between 8 and 10 years, which is before they lose their last baby back teeth and before their growth spurt begins. At this age all treatment options are still possible . Unfortunately when children are seen at a later stage it may already be too late to modify jaw growth favourably, or to create more room for the teeth as they erupt through the gums into the mouth. An increasing number of adults are now having orthodontic treatment. Here in Clonmel orthodontics approximately 30% of our patients are adults . If the teeth and gums and supporting bone are healthy orthodontics can be performed at any age . Where adults feel self conscious about fitting braces on the outside of the teeth it is possible to fit lingual incognito braces on the inside of the teeth. In general it takes 18 to 24 months to correct most orthodontic problems . Some simple problems can be corrected in a much shorter time in a few weeks or months. Though more complex problems may even take a little longer than this. Braces are stuck onto your teeth in much the same way that a sticky stamp is stuck onto an envelope and so the fitting of the braces is pain free. Please see link Click Here. After the braces have been fitted the teeth will be tender for the first 2-5 days . You can take a mild painkiller similar to what you would take for a headache if you wish. Occasionally people can develop small mouth ulcers for a few days while the mouth adapts to the braces . Wax will be provided for you to help with this problem should it arise . Should I continue to see my general dentist for check ups and treatment when I am having orthodontic treatment? Yes it is important that you should continue to see your general dentist on a regular basis before, during and after orthodontic treatment. Your general dentist uses different equipment to detect early tooth decay and gum disease , and with the use of these will detect these problems earlier than the orthodontist can. Your general dentist will advise you how often you should attend for routine checkups . If you are prone to gum disease or tooth decay you may be advised to attend more frequently than other patients. Will my teeth and gums be damaged as a result of orthodontic treatment ? It is very important to maintain good oral hygiene during orthodontic treatment to ensure that your teeth and gums remain healthy . To prevent decalcification of the teeth it is important to brush the teeth regularly , and to limit the number of times in the day that one eats or drinks sugar containing food or drink . Resorption (shortening ) of the roots can also occur to some extent , though this is rarely of clinical significance . It is important to attend your general dentist before during and after orthodontic treatment to maintain the health of your teeth and gums. Will my speech be affected by wearing a brace? When the metal or ceramic brace is fitted on the outside of the teeth this does not affect one’s speech. Lingual braces when first fitted on the upper teeth can affect speech for a short period . The incognito lingual brace is very thin and has been shown to minimise this problem . Normally patients adapt within the first 2-4 weeks and speech returns to normal. Is it possible to have braces with bright colours ? Yes these are a popular choice with younger patients , the colour can be changed at every appointment. Please see orthodontic appliances section. What about clear ceramic tooth coloured braces ? What is lingual orthodontics ? This involves straightening teeth using braces which are fitted on the inside of the teeth. This means that they are essentially invisible.The results achieved with this technique are as good as one gets when the braces are placed on the outside of the teeth. These systems all consist of a series of clear plastic aligners worn over the teeth. They are almost invisible . Each aligner is worn for 2-3 weeks before moving onto the next aligner . These systems are not suitable for every orthodontic problem . It can be established at your initial consultation if one of the aligner systems is the method best suited to give you a perfect smile. Unfortunately it shows that the accuracy of tooth movement with invisalign is on average only 41% . This is much less than can be achieved with fixed appliances , and emphasises that aligners are only suitable for correcting certain rather minor orthodontic problems , though they have a role in certain situations. What about six month smiles / six month orthodontics? It simply is not possible to achieve the most beautiful smile for the vast majority of patients in six months. The practitioners who offer “ six months orthodontics” have generally attended a course for a few days only . The courses are sometimes taught by practitioners with no recognised, postgraduate qualifications in orthodontics . When a patient attends for an orthodontic consultation there is a charge of €80 . The alternative approach of offering so called “free” consultations can only mean that the cost of the “free” consultations is borne by the patients who proceed with treatment. I do not view the orthodontic consultation as an opportunity for me to market orthodontic treatment. The orthodontic consultation will take approximately one hour so it is important that you can attend for this length of time . Normally it is necessary to take x-rays and photographs to establish a diagnosis , these are included in the cost of the consultation. If a patient is too young and it is not possible to diagnose any possible orthodontic problem you will be offered a review appointment which is in included in the initial consultation fee . When I am conducting a consultation I simply ask myself what would I do for this patient if they were a family member or a close friend . I am aware that patients are attending for individual advice and wish to know what orthodontic treatment would offer them and indeed if it is appropriate in their case . I genuinely look at the consultation as an opportunity for me to offer professional advice in a caring manner after conducting a detailed examination of the patient. The patient is paying for this advice . What about a gum shield ? Dentists recommend that everybody who plays contact sports should wear a gum shield . If you are wearing braces a gum shield can be purchased in your local sports shop and adjusted by you to fit around your brace . If you are wearing any removable orthodontic appliances these should be removed by you for the duration while participating in contact sports, swimming or horse riding. When can my treatment start ? 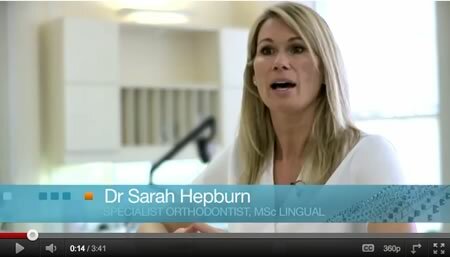 Please book for a consultation if you wish to discuss your orthodontic treatment .